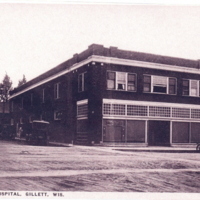 The Gillett Hospital was located upstairs in this building in the early to mid 1920s. It was on the corner of Lake and Main Street. A local resident "recalled" that he had been born in this hospital in 1923. The photo was given to Gillett Area Historical Society several years ago by an unnamed donor. Property of Gillett Area Historical Society. Published by Recollection Wisconsin with permission of the submitter. 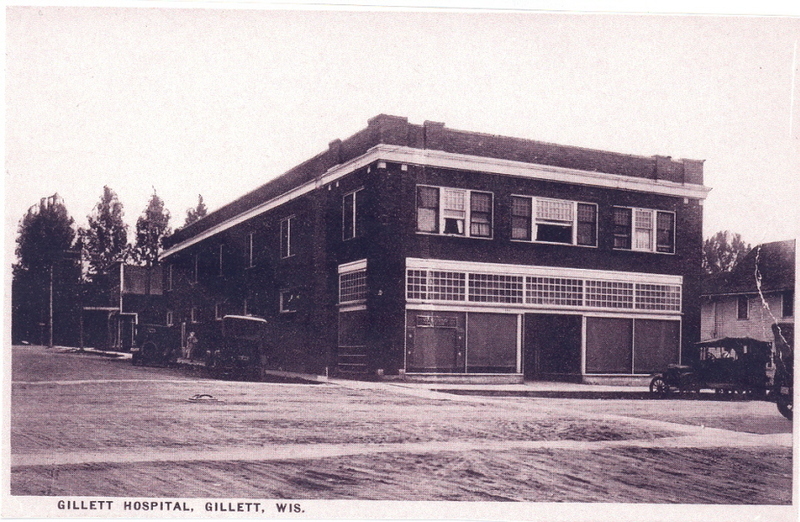 “Gillett hospital ca. 1920,” Recollection Wisconsin, accessed April 25, 2019, http://recollectionwi.org/items/show/26.